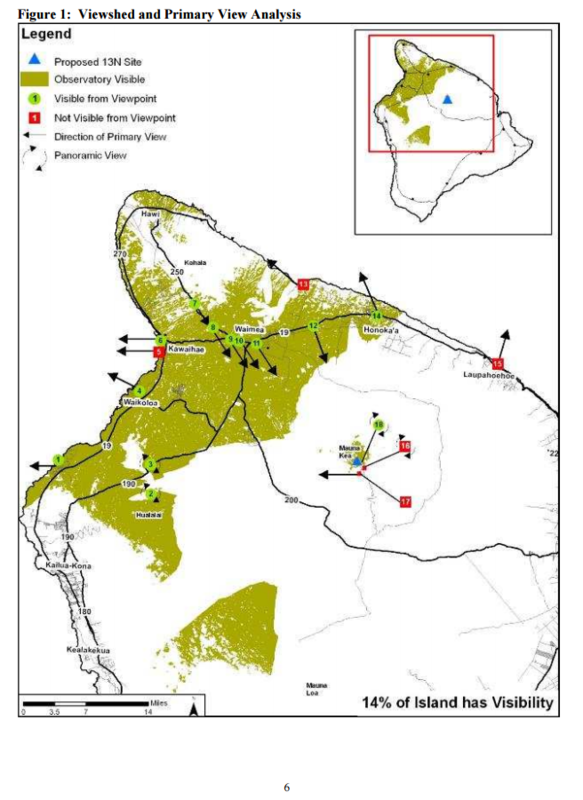 The TMT Observatory will not substantially affect scenic vistas and viewplanes identified in the Hawai‘i County General Plan or the South Kohala Development Plan. The TMT Observatory will not be visible in the view of Maunakea from Pāhoa-Kea‘au, Volcano-Kea‘au Roads, and various Puna subdivisions or from locations where Hilo Bay is visible with Maunakea in the background. Although the TMT Observatory may be visible in the view of Maunakea from portions of the South Kohala district and the area around Waimea, it will not block or substantially obstruct the views and viewplanes of the mountain. The Thirty Meter Telescope will be located on a lava plain below the Maunakea summit to minimize its visual impact. It will not be visible from the summit of Maunakea or from Lake Waiau but will be visible from the northern ridge of Kukahau’ula, where other astronomical facilities are located. The TMT will be built at a lower elevation and various design elements have been incorporated to minimize its visibility. For example, a special reflective aluminum-like coating on the telescope’s dome exterior will reflect the sky and ground. 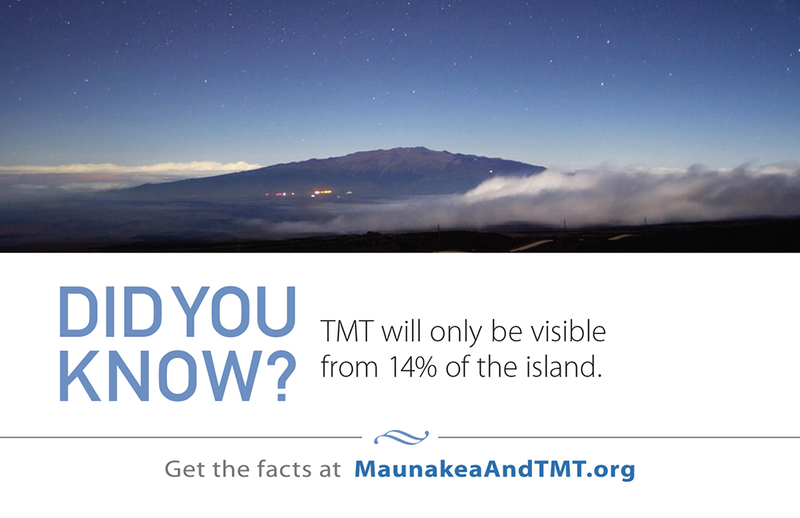 In all, TMT will be only vaguely visible from 14% of Hawaii Island, or where 15% of the island population resides.